The Moon is in Aquarius until 7:21 AM. The Moon is void from 3:19 AM to 7:21 AM. The Moon is in Pisces from 7:21 AM forward (until Saturday, November 21st, at 10:12 AM). The Moon is waxing and in its Waxing Crescent phase until 1:27 AM / the Moon is waxing and in its First Quarter phase from 1:27 AM forward. 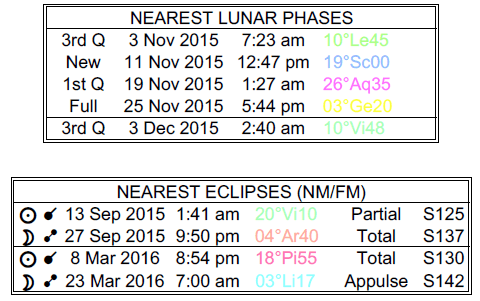 A New Moon occurred on the 11th, and a First Quarter Moon occurs this morning. 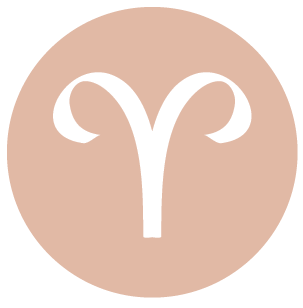 The Moon slips into your privacy sector this morning, dear Aries, and from now until Saturday morning, you’re more inclined to seek out some form of solitude or withdrawal from overly demanding situations. You are in need of an emotional recharge and perhaps some review before a new lunar month begins. You can do some important digging today, whether this is in your own psyche or some form of research, and become completely absorbed in what you’re doing. Whether it’s just for fun or more serious work, this can be a day in which you’re especially motivated. Try not to waste your time on trivial matters, as there can be a tendency to obsess or become mentally wrapped up with something, and it’s best channeled into something worthwhile and constructive. Take extra care in your communications, as your intent may be misinterpreted. 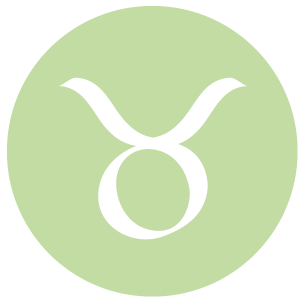 Today is strong for expressing and showing your loyalty, dear Taurus, and for throwing yourself into a special project or cause. You’re looking for some level of devotion from the people around you, although this can be tricky, as not everyone is on your wavelength right now. Try not to stress over conflicting perceptions of the way you feel things should be, or over differences of opinion, as people tend to be wrapped up in their own personal issues right now. You can enjoy a nice escape from everyday concerns through friendships or networking activities. Take the pressure off and don’t over-think things today, unless, of course, you’re enjoying the process or topic! 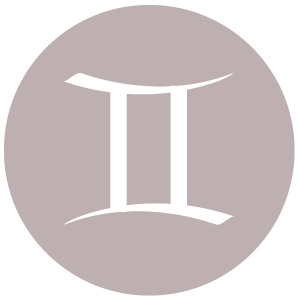 Your tendency today is to dig a little deeper in whatever you’re doing, dear Gemini, as you’re not especially content to live life on the surface of things. It can be a strong day for business and work of all kinds, and particularly projects that require dedication or focus. It’s quite easy for you to become thoroughly absorbed in your work and experiences right now. Today and the next few days bring a Pluto theme, which can intensify your feelings but it can also stimulate any tendency to dwell on problem areas, so watch for that. Harness the passion and direct it into a worthwhile cause, or something that truly helps you. You may be trying to push the envelope today, which can be a good thing if you want to take something further. Use this time to find answers to problems rather than to entertain negative or suspicious thoughts. 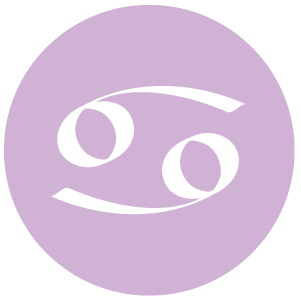 With the Moon moving into your solar ninth house this morning, dear Cancer, you can feel as if you’re coming into the light, feeling more outgoing and adventurous. 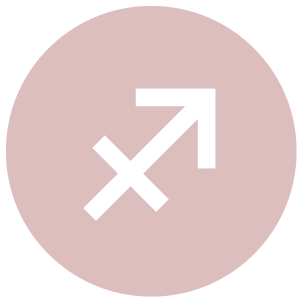 Even so, Pluto is strong and a little difficult today and in the next couple days, which can point to a tendency for people to be more serious than usual. Don’t tolerate people who are trying to play games with you through double talk or other manipulative methods. You don’t need to be taken down that road. Also, if you begin to feel a little threatened by others’ behavior, try to pull yourself out of a negative or jealous mindset. As long as you don’t absorb others’ tension, and focus instead on what you’d like to accomplish, you should have a fine day. There is strong energy with you for creative or educational pursuits that require an extra dose of passion or dedication, both of which are easier to come by today. 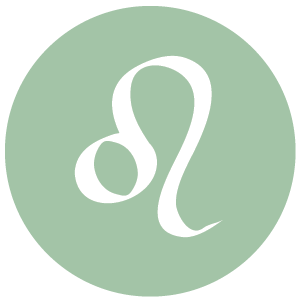 This morning, the Moon moves into your intimacy zone for a couple of days, dear Leo. This is a slightly more introspective phase when you’re more inclined to watch and see than to jump into action. 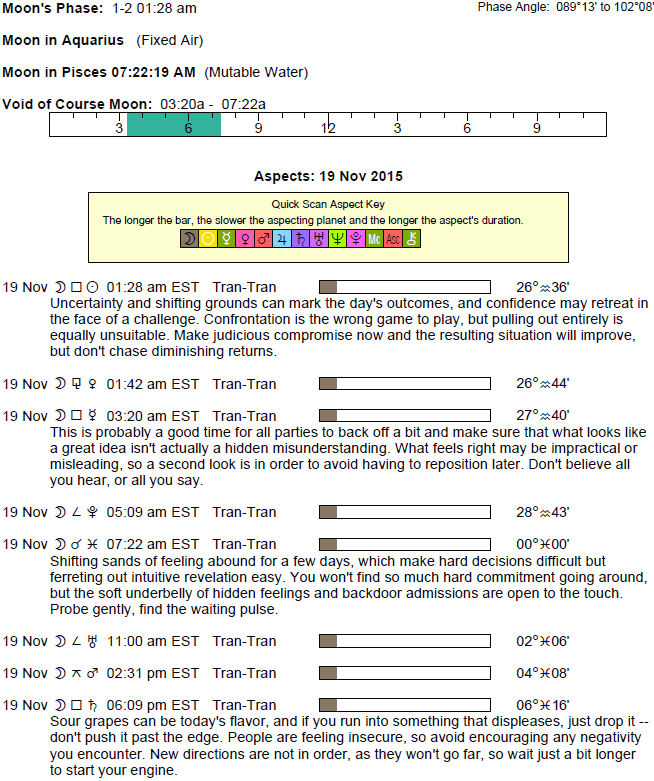 With Pluto strong and a little challenging today and the next two days, this quality is emphasized. You may be feeling especially passionate about something or someone, and if you channel this intensity constructively, this can be a strong time for important research or progress on a project. Watch that you don’t waste energy on negative thinking or dwelling on problems that you have no power to change. The need to make important changes to your routines or your work situation can be pronounced now. Try not to become obsessed over finding answers to problems, but do try to focus your energy so that you can really make headway. Directing your own work, if possible, is ideal for you right now, as you can resent others controlling your schedule. Today is good for researching health and self-improvement topics, especially alternative therapies for healing. Your ruler, Mercury, is in a minor tense aspect with intense Pluto today, dear Virgo, which can give you a rather serious or intense aura. Try your best to avoid negative lines of communicating and thinking, as these can spiral downward rather quickly! There is no need to dwell on problem areas. Your inclination is to go your own way, and stick to your way. A stubborn streak surfaces! This can work to your benefit if you find a constructive channel for your passion and determination. In fact, you can make wonderful progress on a project or explore an interest more deeply today with good results and much satisfaction. You are not very content with falseness or superficiality, and a little less willing to overlook these things than usual. The Moon moves into your partnership sector this morning, and you tend to want to have company in most things you do. With the Moon’s move into your work and health sector this morning, dear Libra, you’re shifting focus to slightly more serious matters. A Mercury-Pluto influence with us today furthers this theme – you’re likely to be seeing the details that aren’t working more than the systems that are. This can be helpful if you use it constructively. In fact, it can be a very productive day when problem solving skills are emphasized. Avoid negative thought patterns. Around the home front, here may be some frustrations surfacing that need to be aired. Clear these up and work on resolving problem areas, but don’t overdo things. Overextending yourself won’t help. This can be a good day for handling a financial or work matter with finesse. You might also find the motivation and dedication to pursue a fitness or health goal. 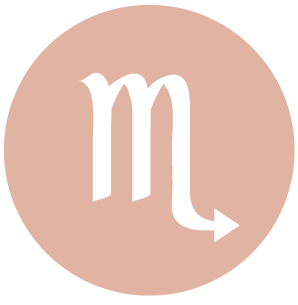 You are especially sharp and curious today, dear Scorpio, and might be asked to speak or express yourself about an important matter. However, there may be a tendency for certain others to misunderstand some of the things you say, so strive to be as clear as possible. Watch for pushing a matter too far, and protect your light by avoiding negative thought patterns. Do encourage the investigator and detective in you, as today requires a deeper analysis, and you are particularly skilled at getting to the bottom of things. The Moon’s move into your sector of recreation, entertainment, romance, and creative pursuits encourages your more spontaneous side. It can be an expressive time! 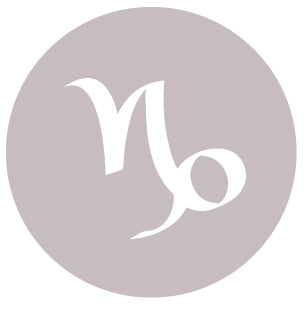 The Moon moves into your family and soul sector this morning, dear Sagittarius, where it will spend a couple days, turning your emotional focus to personal and familiar matters. It’s time to explore your inner and domestic worlds and get into better touch with your needs for nurture and comfort. Interactions with a partner or good friend can be warm and passionate, but also quite intense. A powerful conversation that might feel uncomfortable at first can actually be healing, but only if you are especially conscious that suspicion and negativity are avoided. Don’t be afraid to tackle the deep stuff, but don’t push for “truths” if you don’t like what you’re currently hearing. This can be a good time for throwing yourself into a home project or domestic activity. 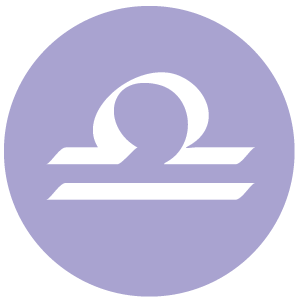 Getting through your schedule or routine could be a tad challenging today, dear Capricorn, as your mind is somewhere else altogether – on your personal issues. Avoid frustration by opening your mind and making room for the unexpected. You may be feeling a strong desire to micromanage things, or to be in control of situations that probably should be given some space! Unusual and possibly tricky situations with friends or acquaintances can occur today. Try your best not to get into power plays. Keep your mind stimulated by mixing up the routine in small ways with the Moon moving into your solar third house – a sector of your chart that demands a bit of variety. Even so, this can be a good time for putting extra energy into a particular project, cause, or study. The Moon moves out of your sign this morning, dear Aquarius, and into your resources sector. A quiet day would be ideal for you as emotions tend to settle in. Both professional and personal responsibilities can weigh heavily on your mind now, particularly if there are rumors circulating or if you hear something that you are inclined to take the wrong way. People can be moody today, and there can be some double talk or manipulative tactics at play, which can be frustrating, as you’d prefer that people say what they mean. Try not to absorb others’ negativity, and focus on your own projects and goals. In fact, today is strong for investing time and energy into a pursuit that requires concentration or dedication. 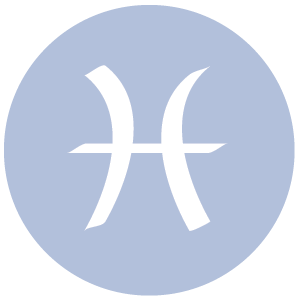 The Moon moves into your sign this morning, and this brings out your need to be part of the main story line, engaged, and involved, dear Pisces. The tone around you can be a little tense or intense at times today, however, and you’re inclined to soak things in like an emotional sponge. Be sure to avoid taking on others’ poor moods or immersing yourself in tense situations. Conversations today tend to be intense rather than light. While you shouldn’t avoid important topics altogether, you can certainly let others know that you’d like to defer them for a better time. If something can’t wait, be as aboveboard as possible. There is good energy for doing something creative, particularly a project or activity that requires passionate involvement and concentration or dedication. 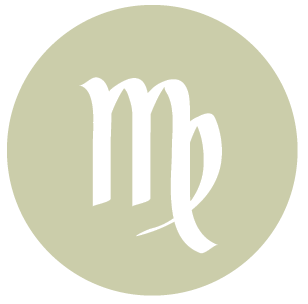 If Your Birthday is November 19th, If Today is Your Birthday full horoscope here. We could feel burdened, restricted, or limited during this brief influence. We could be feeling a little down on ourselves, excluded, or lonely. There can be some awkwardness or stiffness and difficulty showing affection and feelings. It’s important to be patient now. We are willing to put in the effort for a mental interest or project, and can feel pleasantly dedicated to our work or ideas. We are more able to focus on what we’re doing and communicating, and are more inclined to notice and consider details. We could feel burdened, restricted, or limited during this brief influence. We could be feeling a little down on ourselves, excluded, or lonely. There can be some awkwardness or stiffness and difficulty showing affection and feelings. Patience is important now. You are torn between a need to be loved in an intimate relationship and a desire to be your own person. You are wilful in your desire for freedom and find it difficult to commit yourself to one relationship. You need to develop an appreciation for your own and others’ unique talents. Sabian Symbol: A veiled prophet of power. Cnj 24°Li03 SPICA*** The potential for brilliance. 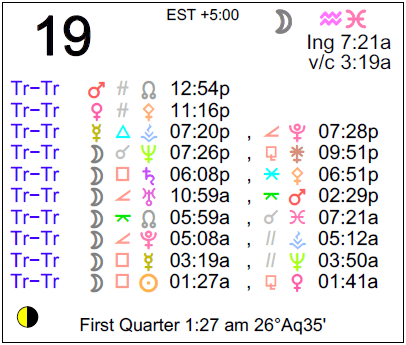 Sun 00° Taurus 04' 48"
Moon 13° Scorpio 11' 47"
Mercury 04° Aries 04' 58"
Venus 29° Pisces 44' 00"
Mars 13° Gemini 17' 56"